The brevity of The Stone Roses’ career didn’t afford the band many opportunities to reel off a lengthy string of highlights. In fact, all but the outfit’s most devoted followers tend to agree that aside from its self-titled debut as well as the set’s adjoining hit single Fool’s Gold, The Stone Roses really didn’t last long enough to accomplish much at all. Unfortunately, the multiple, newly commissioned compilations devoted to the ensemble’s output won’t do anything to alter this perspective because most of the demos, outtakes, and live performances pale in comparison to the main attraction. In a sense, The Stone Roses was an album-oriented version of a one-hit wonder. Part of the problem is that The Stone Roses became mired for so long in a legal battle with its record label that it took more than five years for the group to assemble its sophomore set Second Coming. By this point, the market had changed considerably. Worst of all, The Stone Roses had lost the opportunity to learn and grow with it. For the record, Second Coming was better than many people made it out to be. Yet, upon its release, The Stone Roses still sounded like it was firmly entrenched in the past. In addition, the group’s experiences were so tension-filled that, not surprisingly, it soon crumbled under the pressure of high expectations and internal feuding. The other factor that The Stone Roses faced was that its debut was an intensely brilliant affair that perfectly set the stage for great things that never came to pass. The band — particularly singer Ian Brown and guitarist John Squire — spent a lot of time writing, rehearsing, and refining its material. When the group finally stepped into the recording studio with producer John Leckie, it had amassed an enviable body of work, all of which was replete with sunshine-kissed melodies and heady, dance-friendly grooves. In effect, The Stone Roses had figured out how to span the gap among music eras without sounding like it was merely regurgitating a bunch of old ideas. There wasn’t a track on the endeavor that didn’t owe a huge debt to The Byrds, The Cure, and U2, but The Stone Roses managed to mash it all together to form something that was as fresh as it was timeless. Leckie put the finishing touches upon the songs by firing up the instrumentalists and coaxing Brown to sing on key. The result was an album that spoke to a generation of disenchanted kids who were looking for a way to forget the troubles of the world. The extra material that is included on the various expanded editions of The Stone Roses’ debut — an assortment of demos, outtakes, promotional videos, and artwork prints as well as a full-length concert film are available, depending upon the price point one chooses — won’t do much to convert nonbelievers. There are a few highlights — such as the explosive One Love and the funky shimmer of Something’s Burning — but most of the songs falter because they hadn’t yet been whipped into shape. The Stone Roses’ diehard fans, however, will enjoy the glimpse that they provide at the group’s evolution as well as its sources of inspiration, though in all likelihood, many of them already have heard a lot of this stuff before. In particular, the tunes that jockeyed for position on the self-titled debut are all close to completion. Both the familiar melodies and the basic arrangements are intact. Yet, cuts like I Wanna Be Adored and She Bangs the Drums are missing the sparkle, polish, and extra oomph that elevated the final renditions. Likewise, until its concluding jam, I Am the Resurrection — whether it’s the demo or the live version — falls utterly flat. As it turns out, Ian Brown wasn’t a terribly good vocalist, at least not until it truly mattered. In concert, he could be unfathomably awful. A few tracks among the bonus selections, like Waterfall, lie closer to their concert counterparts. In addition, elements that previously had been obscured — such as the Beach Boys-inspired layers of Bye Bye Badman; the hyperactive, Cure-like groove that fed Elephant Stone; and the Velvet Underground-imbued essence of Going Down — are revealed. The extended introduction to the live version of I Wanna Be Adored is a meditation upon the mood-setting material on U2’s The Joshua Tree, while the opening riff of (Song for My) Sugar Spun Sister was lifted directly from Angel of Harlem. In the end, however, almost all of the odds and sods that are included on the set are superfluous to the original album. There is no use in denying the fact that, in the wake of its self-titled debut, anything The Stone Roses did — even if it had responded quickly — would have been subjected to close scrutiny. Over the course of its unintended hiatus, the band’s legend grew so incredibly immense that the odds against it became insurmountable. Given the increasingly strained relationship between Brown and Squire, the feat became downright impossible to achieve. 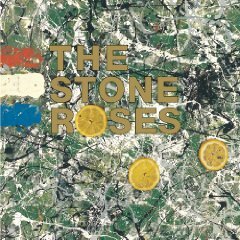 Even so, bolstered by a bright, resonant re-mix, The Stone Roses’ eponymous endeavor has risen from the ashes to recapture a touch of glory for a band that has been overrated by a few and underappreciated by many. (2-CD/1-DVD) is available from Barnes & Noble.